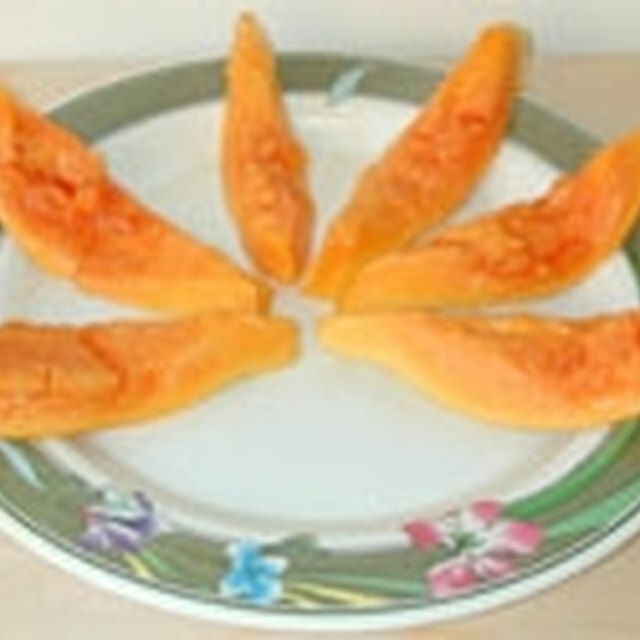 Orange peels are rich in nutrients and antioxidants. 4 Is It Possible to Get Rid of Acne Overnight Naturally? Move over, prescription drugs. There's another cholesterol fighter in town, and you might already have it in your kitchen. Laboratory animals who ingested orange peels had a 32 to 40 percent decrease in LDL levels during a study performed by the Journal of Agricultural and Food Chemistry. The cholesterol-lowering polymethoxylated flavones (PMFs) are not the only benefit of orange peels. 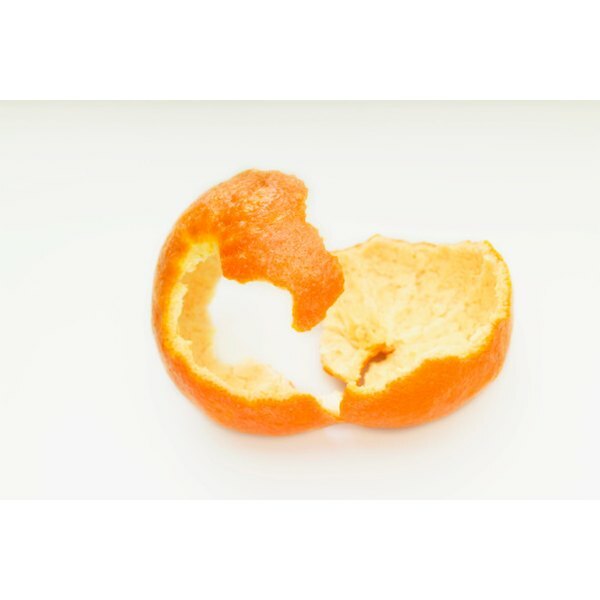 Orange peels also are high in Vitamin C, calcium and pectin, a carbohydrate with probiotic properties. Some people believe it is an effective appetite suppressant. It also is used to aid digestion and treat colds. Experiment with different recipes to incorporate this nutrient-rich skin into your diet. Wash your orange. An unwashed orange may contain chemicals, toxins and bacteria. Cut the orange into at least four slices. Use your hands to remove the peel from each slice. Set the slices aside. Grate the peels, using a grater, sharp knife, zester or vegetable peeler. Use the grated peel in your food by tossing it into a homemade batch of trail mix; adding it to a salad or desert; sneaking it into a smoothie; sprinkling it into a drink; dropping it into a bowl of oatmeal; or baking it into a cakes, cookies, brownies and pies. Dehydrate the peels. Use a food dehydrator for 8 to 12 hours, at a temperature of 130 to 135 degrees Fahrenheit. Fold the dried pieces in half. If they stick together, they need additional time in the dehydrator. Steep the peels in a hot cup of tea. Add a dash of ginger and honey to fight cough, cold and flu symptoms. Cook the orange peels in sugar. This is known as candying. Drizzle your candied orange peels with chocolate or use them to top cakes and cupcakes. If you crave orange peels, talk to your doctor. This may be a symptom of anemia. Orange peels can be eaten whole, but the white coating is rather bitter.